Among the many benefits of membership with GCS Credit Union, one of the best is access to surcharge-free ATMs nationwide. 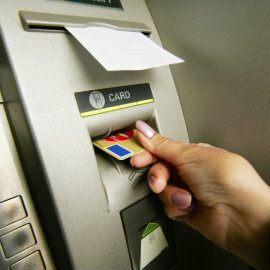 The CO-OP ATM Network was created by credit unions to offer their members the kind of convenience traditionally available only through big banks. With nearly 30,000 locations across the country, they're getting stronger every day. Make deposits at 9,000 ATMs around the U.S.